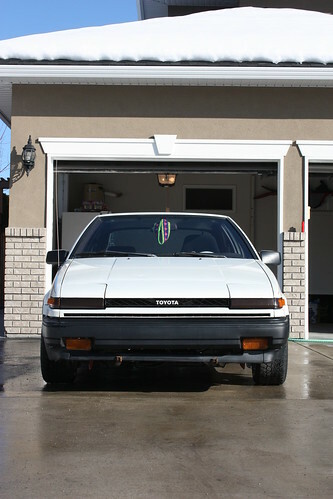 well way back when this blog started, I posted about Ryans carbed auto rolla getting a 5speed and 4A out of a beat up gts. Well Ryan lucked out and got this set up for the 4A crazy cheep. 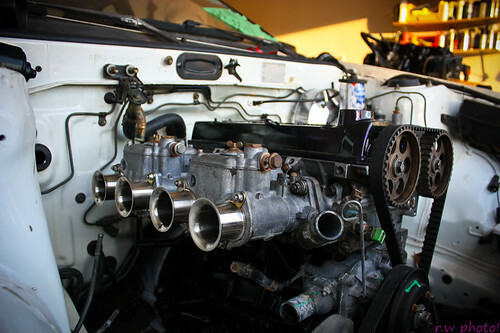 Car is running now, just needs some time to get it all perfect.